Home / Elected Officials / Jerry L. Sanders Jr.
On January 2, 2018, Jerry L. Jr. was sworn in as the 63rd Sheriff of Delaware County. Sheriff Sanders is the first African-American and the first Democrat elected to the office since 1934. Mr. Sanders has had a long career in service to the public. Originally from Philadelphia, he served as a Sheriff's Deputy in the city, rising through the ranks retiring as Chief Inspector in 1995. As part of his responsibilities he oversaw the operations of the Sheriff's Civil and Criminal Divisions, plus Real Estate, Sheriff's Sales, Civil Service of Warrants, Court Security, Traffic Court and Family Court. He was also the Philadelphia Sheriff's representative to both the Family Court Advisory Committee and the Criminal Justice Coordinating Committee. The Sheriff holds a Masters Degree in Organizational Development and Leadership from Saint Joseph's University. In addition to his law enforcement background, Sheriff Sanders holds an Advanced Church Ministries Certificate from the Evangelical Training Association. He serves as an Associate Minister at Mt. 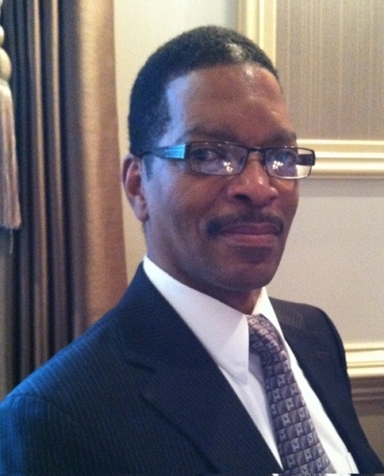 Zion Baptist Church in SW Philadelphia, and as Chaplain of the Deer Meadows Retirement Community in Philadelphia, where he coordinates religious services and ministers to the spiritual health of the residents. Sheriff Sanders currently serves a President on the Advisory Council of Friendship Circle Senior Center in Darby, Pa., where he plays on the pool team. He also serves on the Board of Trustees at the Baptist Home Foundation. He and his wife, Juanita, live in Drexel Hill. They are the parents of six children and they have seven grandchildren.